Thanks to interference from nearby Wi-Fi networks and the complications of running Ethernet cables through a home or office, powerline networking has become a more viable option for many in Las Vegas and Henderson. Still, for various reasons, powerline networking is not as widely used as Ethernet extensions or expanded Wi-Fi networks. To understand powerline networking and whether it could work for your home, you have to look at the fundamentals. 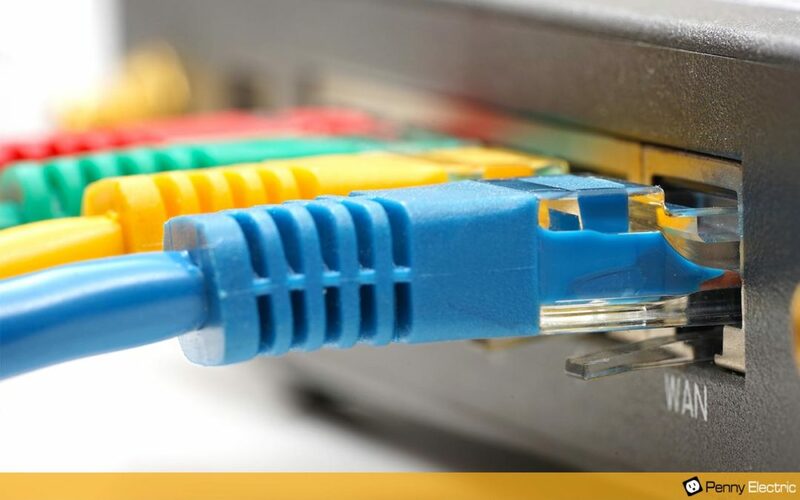 While Ethernet cables send data through a dedicated wire, and Wi-Fi transmits Internet signals using radio waves, powerline networking utilizes the wiring already in a building to broadcast the internet. This is done using a powerline network adapter placed onto your power outlet that transmits the internet signal from your router. Essentially, this adapter transitions data from a power wire through an Ethernet cable, then into an internet ready device. Powerline network adapters can help to extend your Wi-Fi range better than other options because you do not have to worry about positioning them in a certain range or proximity to the router. Also by their nature, they can overcome Wi-Fi dead zones caused by walls and structural variables, enabling a more fully extended network. Powerline networks will enable you to spread the reach of devices that do not have wifi capabilities. This can include delivery or internet through a multilevel building that may not have existing ethernet connections without having to put additional routers in place. This adaptability is one of the leading benefits of powerline networking. Powerline networking is primarily an extension of an Ethernet cable, and your connection is likely to be more robust and dependable than a boosted Wifi signal. It will lower the rate of latency and lag making it optimal for real-time processing, video streaming and gaming. This is one of the more common reasons for wanting to extend Wi-Fi Internet access. Rather than spending money rewiring an entire building for better access, or setting up several routers throughout the building, powerline networking allows users to extend internet reach without bursting their budget. Unfortunately, powerline networking relies on the age and reliability of the electrical wiring in your home. This means that if you have an older establishment with heat worn or outdated wiring, your connectivity may also suffer. Insufficient, old or damanged wiring is one of the largest reasons people are often disappointed with the performance of Powerline Networks. While powerline networking does reduce the capacity of other Wi-Fi signals to interfere with your connectivity, you could still face interference from other appliances or machines on the same power system. Heavy draw appliances the run continuously such as air conditioning systems could potentially undermine the quality of your connectivity. The powerline networking adapters have some compatibility issues when it comes to using surge protectors and power strips. These tools negate the function of Powerline networking adapters. Consequently, people lament the loss of their additional outlets. Even with recent innovations in technology hackers have still developed ways to infiltrate networks using powerline networking adapters. Even though some level of proximity to the target network is required, hackers can potentially use the adapter as an entry point to your network. Even though powerline network connectivity is promoted as a reliable alternative to other forms of extending your Wi-Fi capabilities, it often falls short. We recommend using reputable brands and checking reviews prior to purchasing powerline network adapters and the related equipment. In many cases, brand compatibility can also be an issue. To avoid this situation it might be a good idea to use adapters that are made by the same manufacturer as your router if available. If you’re looking to extend your Wi-Fi capability and find a cheaper option than rewiring of a building, powerline networking might be a feasible option. In the Las Vegas climate there are additional considerations such as the climates effect on older wiring and interference created by the larger air conditioning system, but especially in newer homes we have found this to be less problematic. If you need assistance with improving your home connectivity with or without a powerline system, Penny Electric is available to help. Simply contact us by phone or online for a free service quote and information.